Considering the physical and emotional stress that accompanies the third trimester of pregnancy, it’s understandable that many parents wonder if eating pineapple to induce labor actually works. I mean, common, if all it takes is eating pineapple to go into labor, this information needs to be made public and pineapples need to be dolled out en masse during that final month of pregnancy. But does pineapple to induce labor really work? And if it does, should pineapple be avoided during pregnancy to avoid miscarriage or preterm labor? Also, how much pineapple needs to be consumed in order to cause contractions? Which is best for natural induction purposes – fresh, frozen or canned pineapple? Does the core need to be consumed? Can the same effect be achieved by juicing a pineapple, drinking it, and calling it a day? 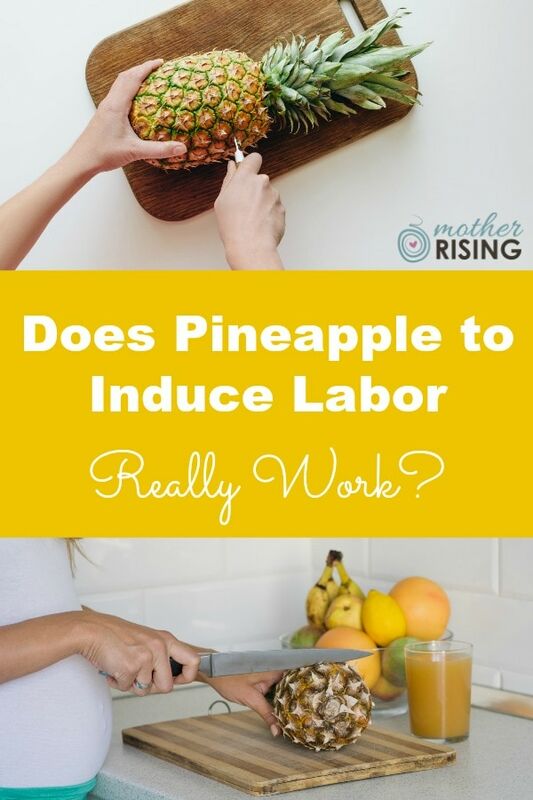 This and much more than you ever wanted to know about using pineapple to naturally induce labor is discussed in this blog post. Let’s get started! Because pineapple contains the enzyme bromelain, it is an anti-inflammatory food. There are many benefits to an anti-inflammatory diet during pregnancy! Pineapple is extremely high in vitamin c, which is great for the immune system. Nothing is worse than being in labor with a cold or flu. Pregnant women sometimes struggle with constipation, and oftentimes increasing liquids and fiber can remedy this situation. Pineapple offers both! Pineapple is also high in manganese and thiamin, which are essential nutrients for a pregnant woman. The barriers to obtain pineapple are pretty low, as most grocery stores sell it. Compared to traditional medicine, pineapple is pretty inexpensive (although in some areas (Alaska!) I can imagine a higher price tag). If your body is telling you to stop eating pineapple, please stop eating pineapple. Listen to your body, it is wise. Canned, Fresh, or Frozen Pineapple to Induce Labor? TIP: If canned pineapple is the best alternative available, choose one that’s made with water, not syrup or sugar. Pineapple is already high in sugar, at 16 grams per cup (diabetics, stay away!). The added sugar that sometimes accompanies canned pineapple is totally unnecessary. Can Eating Pineapple in Pregnancy Cause a Miscarriage? Can Pineapple Help Ripen the Cervix? Can Pineapple Induce Labor Naturally? However, pregnant women don’t pour pineapple juice on their uterus, they drink it. Therefore, yes, pineapple juice can cause contractions and potentially labor, but not when it’s digested and metabolized. It’s safe to conclude that pineapple does not induce labor naturally. No matter when you try (35 weeks, 36 weeks, 37 weeks, etc. ), or how much you eat, pineapple is not going to induce labor. Sorry. “I ate an entire pineapple, core and all, when I was pregnant with my first. Boy did my mouth HURT. And nope, no labor.” Heather F.
“I ate a whole pineapple every day for 4 days in a row and it did nothing that I could tell except make my mouth raw.” Lucy H.
“Juicing a pineapple worked for me – I went into labor that night. I had been having prodromal labor for weeks though.” Katie G.
“I had been craving pineapples and pineapple juice for weeks before I delivered. The day my water broke, I had eaten a whole pineapple and drank about 3 cups of pineapple juice – it was all that I wanted. Not sure if there was a correlation, since I had already been craving it. 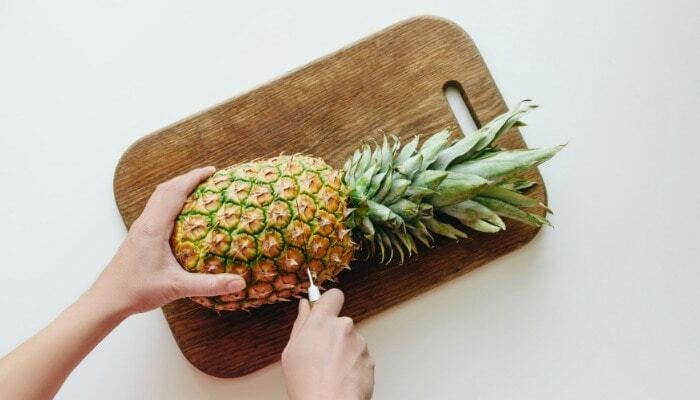 I never ate the core and went back and forth between fresh and canned.” Shawna M.
The following is some practical advice for preparing a pineapple to attempt to induce labor. Have fun! So, you bought a pineapple and it’s on your kitchen counter. What’s next? Watch the following video for the easiest way to cut a pineapple. 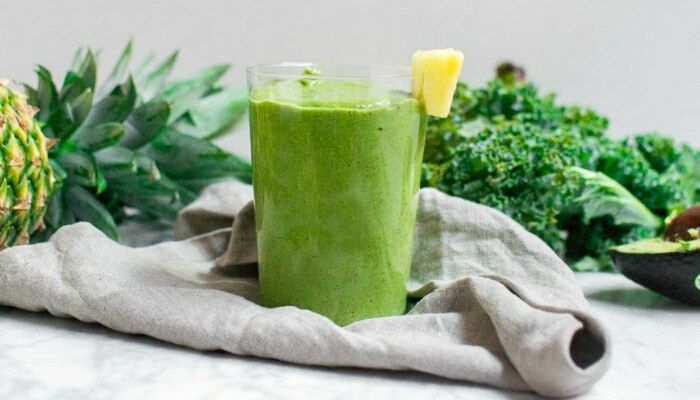 Check out Mother Rising’s recipes for green smoothies during pregnancy. Not only are they delicious and nutritious, but THEY CONTAIN PINEAPPLE. Woohoo! If you’re also considering castor oil as a method to induce labor naturally, hop on over here to learn more. Do You Think Pineapple to Induce Labor Really Works? After reading this article, what are your thoughts? Do you think pineapple to induce labor really works? Do you have experience with it? Leave a comment and share your story. We’d love to hear from you! I ate so much pineapple towards the end, but sadly no effect for me. Holland and Barrat now sell Bromlain in a capsule, reckon you could stick one of those up your lady bits? Wow. huh. No clue. lol!